Residential Lease Agreement. Easy-to-use. Ready for immediate use. Popular - Residential Lease Agreements which contain a variety of forms for use when renting residential property. Included are leases for a house, furnished or unfurnished apartments, room within a home or when leasing a residence on a month-to-month basis. A Sublease Agreement is also included. When you’re renting a house, it represents a major commitment. Sure, you aren’t committing to a 30-year mortgage, but putting guaranteed payments down in writing is never a small deal. That’s why understanding how to read house lease agreements can be crucial to ensuring that you’ve made the right decision – and, after all, no one wants to be caught with more legal responsibilities than they knew they had. If you want to avoid all that trouble, you’ll have to read your house lease agreement with a discerning eye. In order to do so, it will help if you know what to expect. So in this article, we’ll tackle some of the typical sections you’ll see in one of these lease agreements so that when you read your new lease for the first time, it won’t actually feel like the first time. One of the first sections you’ll read are the basic terms: the two parties involved and how much you’ll be expected to pay in monthly rent for the duration of your lease. Nothing esoteric there. You’ll also see that you are named as the tenant, lessee, or renter – whatever phrase the contract chooses. It’s important to remember this for reference in later sections so that you know which responsibilities are being assigned to whom. Payment terms might be in their own section but we can address them here: not only will you be expected to make a regular payment, but you’ll be expected to do it in a fashion that is defined in the lease agreement. Typically, this section will just outline any penalties you might have for late payments, as well as assign specific dates that the payments are due. Next, expect to read a lot about security deposits and utilities – these are very important issues in housing agreements, perhaps bigger issues than they are in apartment arrangements. You’ll be expected to pay a security deposit at the beginning of your lease. The lease agreement will outline how much you have to pay and how this money will eventually be paid back, though if you don’t take care of the house you’ll see less of this security deposit at the end of the lease agreement. Utilities are another big issue in housing agreements – essentially, anything that you have to pay for (or won’t have to pay for) needs to be in writing. Here you’ll find out what you’ll be expected to cover yourself, and this will vary from landlord to landlord. If you ever find yourself confused at the wording in your house lease agreement, just ask about it. You’d be surprised how many of these forms are actually just standard forms your landlord was able to gather somewhere. Even so, it’s worth giving every section a careful reading so that you’re sure what you’re signing up for. You might find there are some agreements you made that were not in writing, or that the terms of the agreement were changed without your knowledge. And as they say, knowledge is power. Depending on your perspective, signing a leasing agreement is either a temporary solution or a long-term commitment. For a homeowner paying off a 30-year mortgage, a one-year lease might sound like small potatoes. But for someone just finishing college and moving into a rented house for the first time, a leasing agreement of one year is actually a pretty important milestone – and that’s why you need to get it right. That’s why we’ve put together this brief – yet comprehensive – guide to house leasing agreements. Before you sign your name, you’ll want to make sure you not only know what you’re signing up for, but what you’re not signing up for as well. Here’s what you need to know. There are a number of variables that will go in to the overall cost of your house leasing agreement – your monthly rent is just one of them. There are other factors to consider as well, such as fees for late payments, the security deposit, and any extra costs you might incur that are your responsibility to cover. If you don’t know these costs ahead of time, then you really don’t know the full extent of the commitment you’re making. This works on both ends of the spectrum, too – it’s important for people who are leasing out their property to understand just what kind of income and expenses they can expect to incur over the duration of the leasing agreement. When you also factor in the provisions in a house leasing agreement for the coverage of certain amenities like gas and heating, you’ll want to be sure that you understand who is “on the hook” in each case. In short, the more you know about house leasing agreements in general – and about yours specifically – the better prepared you’ll be for any problems that arise. If you’re the renter, then there’s a good chance that your landlord is using a fairly standard template in the house leasing agreement. But there’s still plenty of reason to read through it yourself and to make note of any of the provisions that you feel you’ll have to be aware of throughout the extent of the lease – making a note to yourself in a notebook you keep handy for just such an occasion is a good idea if you’re new to house leasing agreements. The provisions that go into an agreement like this aren’t limited to the payment parameters. There are a number of other provisions that talk about responsibility for certain items across the house, the terms of the security deposit, and other facts that you’ll want to be aware of if you don’t want to be surprised by any unexpected payments or deductions from your security deposit. When it comes to leasing agreements of any type, remember that knowledge is your best weapon. Insist on taking the time to review each item in the leasing agreement and if you’re the landlord, be sure that you have the legal forms necessary to craft a strong agreement yourself. Being a landlord can oftentimes be both a blessing and a burden. Owning property and collecting rent checks every month can constitute a great investment, generating income that you wouldn’t have otherwise. On the other hand, being liable for a number of potential outcomes at your property – even when you aren’t there – and your responsibility to maintain the property as livable can both represent ongoing challenges. The main concern for most landlords, aside from keeping their tenants happy, is to make sure they are as liability-free as possible. While a landlord can’t do away with every liability, they can take certain actions to ensure that any property risk on their part is minimized. Here’s a brief guide for landlords to become as free of liability as they can. A landlord is responsible for maintaining a safe and quality property for their tenants, as well as honoring any promises made in the lease agreement with said tenants. These are responsibilities that cannot be skirted, though the individual responsibilities of many landlords vary on a state-by-state basis. It’s important that landlords know what they need to provide for their tenants before they begin a rental agreement – this will help them focus on where the liability remains. Because ownership is retained by the landlord, it is the landlord (or the landlord’s LLC) that will be held liable for any damage or harm done at the fault of the property. For instance, a shoddy walkway that leads to injury can mean that a landlord is liable for damages. That’s why it’s important for landlords to focus on what they have to provide by law – without that basic structure in place, most landlords will simply not be able to hold on to tenants very long. Long-term maintenance is not always required as a part of these rules, but individual problems will need to be addressed immediately. Ensure that the building is fully up to code before a rental agreement is final. This is the “ounce of prevention” strategy. It means that you can avoid any liability by making sure there’s nothing wrong with the property even before any potential tenants move in. Because these checkups will be more difficult to handle on a tenant’s schedule, it’s a good idea to handle this when the property is vacant. Addressing issues quickly. Many tenants are understanding of problems and liabilities if landlords are quick to address the issue and open in their communication with their tenants. Sending someone over to a property to address a broken water heater, for example, will help reduce any potential complaint that a tenant has to make against the owner. In many ways, avoiding liabilities as a landlord is simply about common sense: maintain a strong property and make sure that problems – especially with tenants – do not fester. When many people think about leases, they’re not necessarily thinking about making a purchase. They might be leasing an apartment, fully intending on moving out upon the end of the lease. They might be leasing a car, understanding that the situation feels a bit more like a “long-term rental” situation. But there are a great many people who don’t view things that way - because they want to achieve ownership. These are the people who look at the lease as a means to an end, that there is the light of ownership at the end of the tunnel. How do they accomplish that? By agreeing to a lease with an option to purchase. Let’s learn more about this agreement. First, to understand just how prevalent the “option to purchase” is in our society, it’s important to understand why we have a different term for both “renting” and “leasing.” Although some leasing terms will basically work out to a rental situation, in many cases a lease with an option to purchase will be the “default” agreement you’re expected to sign, such as when you lease a car. Many car dealerships, for example, count on you enjoying the car you lease and hope that when it comes time to decide whether or not you want to purchase it, you’ll simply be too “used” to the car by then and will want to keep using it. That’s a good example of a lease with an option to purchase that can work out well for both parties. It is less common in real estate, but it certainly exists under certain agreements. What’s important to understand about leases with an option to purchase is that you will often get “first rights” to make the purchase if that’s what you want to do. To use our car example from the previous paragraph, remember that the car dealership will often sign an agreement that says it has to sell to you, for a reasonable price, if you do decide to exercise the option to purchase. That’s part of the power of this purchasing option attached to a lease, and it’s partially why so many people like this kind of arrangement. What if you have a lease but no option to purchase at the end of it? Then you’ll have to work out something with the person you’re leasing from. For example, let’s say you lease piece of property without the option to purchase. What should you do? Before your lease is up, make your intentions to purchase known to the owner (note: it helps to make your decision ironclad before you do this, so you don’t waste anyone’s time). They will often be glad to make any sale at all unless they have some sort of prior arrangement for the property. At the very least, you’ll know what will happen to the property when your lease is up, and you can make plans accordingly. When you’re ready to sign that document agreeing to pay the next twelve months in rent at a new apartment, how do you feel? Are you overwhelmed by the vast amounts of legalese, struggling to make sense of the fine print, or are you simply happy to sign something that a landlord hands you? If you fall under the umbrella of either of these questions, it probably means that you could stand to know a little more about what goes into to making a residential lease. - Specifics. What do we mean by “specifics”? Well, pretty plainly, it’s the details you can expect to guide your lease agreement. What this means is that you’ll find numbers like the move-in and lease-end dates, the amount of rent that you’ll owe, and then the dates of the month when monthly rent will be due. These specifics tend to be pretty standard across a range of residential leases, but it’s important to look for them and confirm that you’re seeing the right numbers. For example, if you agreed to a monthly rent of $600 and you see $650 on the form, there’s a chance that someone is trying to pull a fast one on you. - Lease terms. These terms will essentially guide you throughout the rest of the lease - meaning that they’ll guide the expected behaviors you exhibit while you’re renting from this landlord. These terms tend to be simple - issues like avoiding criminal and lewd or otherwise obnoxious behavior are easy if all you want to do is find a place to live and be left alone. But it’s important to check out any other lease terms a specific property might have - for example, there might be some strict rules set by a hoity-toity property you’ll want to be aware of before you start living there. - Responsibilities of the tenant and of the landlord. You’ll want to understand not only your limitations, but your benefits: for example, the landlord might be responsible for maintaining good plumbing, electricity, Internet access, etc. - it’s important that you understand you’ll see some benefits in these lease terms, as well. After all, you are the one making the payments - you should expect something in return! Is there more to a residential lease? Of course. But this brief overview should give you a good idea of what to expect, even if you were never sure of what all the legalese meant before. And when in doubt, have someone else look over your lease - someone you trust. Chances are they’ll tell you things are on the up-and-up. When many people sign a new lease, that’s all they do - they sign. They never read what’s inside, instead expecting that most landlords are nice enough to not put anything “funky” in the legalese of a residential leasing form. But what if there are some aspects of the lease you might not like? When someone hands you a form to sign, it’s an important rule of thumb that you should read it carefully first. Even when someone gives you the “standard” form, you want to be aware of your obligations after signing the form. That’s why understanding what typically goes into a residential leasing form before you even sign one can be such a good idea. In this article, we’ll take a look at the legalese of residential leasing forms and see if we can make sense of what you’ll be signing - and why that legalese is there in the first place. The first thing to understand is that much of the “legalese” really isn’t all that hard to understand once you actually take the time to read a residential leasing form. While some paragraphs can be long and seem a little too verbose, if you take your time and try to make some good sense of it, many times you’ll succeed. Much of the leasing terms you find on these forms will look like that - and when you take the time to actually understand what the “legalese” is saying, you’ll notice that each paragraph generally has one point to make. Even when a paragraph combines a bunch of different concepts into one sentence, you’ll often find that it’s easy to sum these concepts up. There will be some common phrasing you’ll want to be aware of, however. For example, be sure that you read from the beginning, as the beginning might introduce you to the words that will be used throughout the residential lease agreement. Many contracts start off this way, introducing one party as a particular phrase, and another party as a different phrase. Since these phrases will be used throughout the rest of the document, you’ll find everything’s easier to understand if you simply start from the top. Why do legal documents handle things this way? For one, it’s very easy to print off a number of these agreements if you can simply fill in one line early in the document and have that one line apply to the rest of the document. 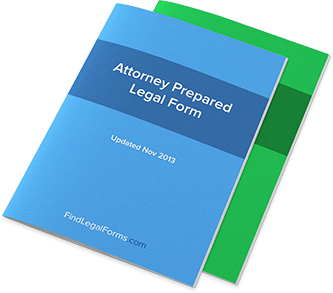 It’s convenient, and as it turns out, it’s the simplest way to handle things, even if you’re not quite ready to accept that a legal document would take the easy way out. Once you understand a few of these key tips about the legalese in residential leasing forms, you should have no trouble figuring out what’s inside your specific form. The more leasing forms you sign, the more you’ll become familiar with the legalese, too, which will eventually make you somewhat of an expert. Just make sure you always read what you sign - before you sign it! To many people these days, signing on the dotted line doesn’t carry the connotation it once did. Instead, signing a contract can feel as easy as signing a receipt after you buy groceries - it’s almost like part of the process, but not necessarily anything special whatsoever. But these days, a signature still carries a lot of legal weight, and that means that signing on the dotted line is still a big deal. Think about rental agreements. When you apply to rent at an apartment, you simply hope you get accepted - and once you do, that’s it. But nothing’s ever official until you sign the rental agreement. Have you signed a rental agreement? Chances are if you’ve ever rented an apartment or house that you have indeed signed an agreement, even if to you it was just a form. These agreements do carry the weight of negotiated, legal documents - which is why you’ll want to understand everything they entail. Here’s a brief but eagle’s-eye guide to rental agreements. First, they’re appropriately titled rental agreements because that’s what any contract is - an agreement between two parties, written down so that it is a matter of record, not simply a matter of one person’s story against someone else’s. Any good property manager will make sure that they have plenty of rental agreement forms handy as a part of doing regular business - but also that these rental agreements include everything they need to protect themselves and their business. That’s why rental agreements can look a bit wordy: property managers need to make sure that they have the authority to evict anyone they need to evict should the need ever arise. Issues like behavior, late rent, pet policy, and overall cleanliness all factor in to the rental agreement, and they’re all part of the policy that an apartment manager sets forth. They don’t have any authority to ask you to do something unless it was part of the rental agreement that you do so, and that’s what makes these forms so important. Similarly, you as the tenant will have a number of benefits as outlined in the rental agreement. If you should have a leaky faucet, you may find that the rental agreement allows you to contact the property manager to have it fixed at no additional cost to you. But it’s not all about benefits - the rental agreement spells out exactly what amount of rent you have to pay, when you have to pay it, and what you can expect if you’re ever late on a payment. The more you understand why rental agreements are necessary, the more you’ll probably be curious to see what a rental agreement with your property manager might look like. Or if you’re a property manager looking for a rental agreement form, you might be surprised just how easy it is to find and download sample rental agreements so you have an idea of what to include in your contracts. It’s a great way to learn about rental agreements and the business of renting out property. When you’re in a bind and you can barely make your own rent from month to month, being in a lease doesn’t always seem like such a great thing. After all, you owe money on rent for the duration of the lease - not just this month. When things look a little hairy, or even when someone simply wants another bit of money coming in every month, there is definitely an option if you have a residential lease: a residential sublease. Also known as “subletting,” such as saying “we sublet our apartment,” a residential sublease is essentially a way for you to make extra money by renting out an area of your rental property. Put another way, you can rent a room of your apartment to someone else while maintaining control of the entire apartment. Does that sound like a good idea for you? Then it’s time to learn all about residential subleases and see how to handle them properly. The first thing to take care of when considering a residential sublease is to check with your property manager to make sure you have the authority and permission to carry out a sublease. If you’re not able to at this stage of the game, then all of the other work you do is unnecessary and would ultimately be in vain. You can always check the terms of your lease to make sure that what your property manager tells you about subleasing is accurate as per the terms of your agreement with them, but generally they will be able to tell you right away, simply because they deal with these questions on a fairly regular basis. After that, you’ll want to carry out your due diligence in making sure you’re subleasing your residential rental to someone trustworthy. It’s possible to run background checks and credit reports on potential tenants even if you’ve never handled these things before - you should at the very least have a referral or some way of verifying that the person you’re subleasing to is exactly who they say they are. Don’t allow anyone with a criminal history into your apartment or rental home! Once you’ve settled on a tenant, you’ll want to make sure that the agreement is drawn up in writing that will carry the weight of legally-binding material once signed by both parties. For example, you’ll want to make sure that the rent due each month and the due date of this rent will be on that contract - if they don’t sign it, then there’s no real way of making them pay you! Downloading forms online can help, but make sure that you understand what subleasing contracts should look like before you simply print one out and use it. And then read the forms you’re using in order to make sure they cover all that you want to have covered. If you’re in doubt, have a lawyer draft up an agreement for you.